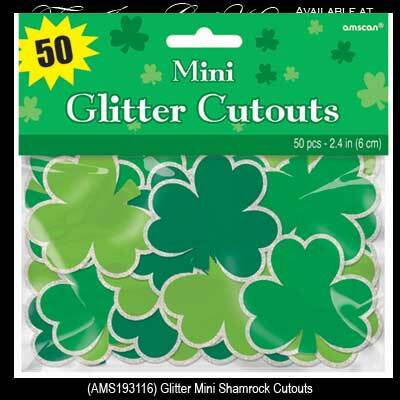 This package of shamrock cutouts are fun for decorating on St. Patrick's Day or for any Irish themed event. Use these 50 shamrock cutouts as decorations or share them with friends on St. Patrick's Day. These Irish decorations from The Irish Gift House are in various shades of green and they measure just under 2 1/2".